With demand for high performance coatings and adhesives growing in Asia, materials manufacturer Covestro is expanding production of the raw material HDI. To satisfy this demand, a new world-scale plant at the Shanghai site in China has been inaugurated. It can produce up to 50,000 tonnes/year of HDI. The production technology is said to be environmentally friendly, efficient and safe. 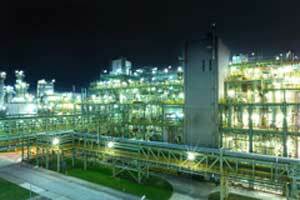 The plant represents another milestone in an expiring major investment programme for the site. “Particularly in China and the Asia Pacific region, there is strong demand for coatings and adhesives in such key sectors as the automotive, construction and furniture, footwear and textiles industries. We believe there is considerable potential for growth through product and application innovations, and we are responding to that with the expansion of our HDI production capacity,” said Daniel Meyer, head of the Coatings, Adhesives, Specialties (CAS) segment at Covestro, at the inauguration celebration. Focusing particularly on the needs of customers in the region, Meyer added that the new plant will help ensure a stable and flexible supply of HDI. Dr. Klaus Schäfer, the Covestro Management Board member responsible for production and technology, said, the addition of the new plant makes Shanghai one of the largest HDI production centres in the world. “At this important site we work in a network to produce all our main products. 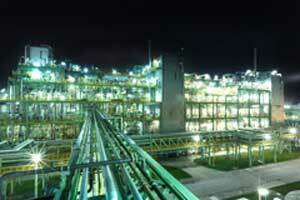 Now it is stronger than ever before thanks to the expansion of our HDI production,” he added. The new plant is part of an investment programme for the site with a volume of more than EUR3 billion which was launched over ten years ago and is now expiring. This programme also calls for polycarbonate production capacities at the site to double to about 400,000 tonnes/year before the end of in 2016. In the last process step, for example, the use of solvents has been cut by up to 80% and up to 60% less energy is used compared with the conventional technology. Overall, the carbon footprint of HDI production has been reduced by up to 70%.